The first tool in surviving day drinking is to pick your poison carefully. While wine is a wonderful libation, drinking chardonnay at noon will almost definitely result in crashing at the Air BNB midday. Likewise, darker liquors and straight shots can produce the same results. Beer is often a safe option for early drinkers. Many women complain that beer makes them feel too full, so they opt for vodka, instead. There are dangers there, as well. Vodka and clear rum can be consumed safely during the day, as long as the mixes are not sweet. Opting for water or club soda can alleviate an afternoon hangover or indigestion. One of life’s most effective hangover remedies is the Bloody Mary. 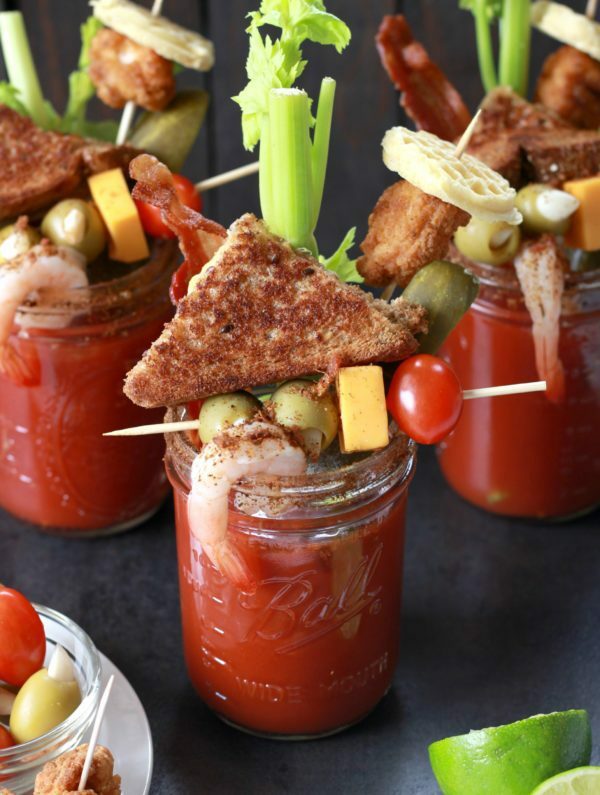 Nashville bars compete for the best Bloody Mary concoctions, as well as toppings. Some of the toppings equate to a small meal—sliders, shrimp, bacon. Pickled veggies—yum! There is a fine line, however, between nursing a hangover and taking a large step toward a new day of drinking. So don’t let the “hair of the dog” turn into the monkey on your back. One great tip is to drink one water for every two drinks. Not only are you eliminating about 5 drinks from your day on Broadway, but you are hydrating, as well. One of the primary causes of a hangover headache is dehydration. Many bars in Nashville will not allow you to bring in bottled water (for risk that it could be alcohol) but all are happy to fix you an ice water at no charge. In the Summer months, many bars have water stations set up for self-service. If the bartender is taking the time out to make you an ice water, tipping $.50-$1 is a nice touch. This is a great day drinking schedule that will allow you to remember all that good Nashville music, enjoy your friends and family, and not require three days to recover once you get home. Sleep in and head to brunch. Nashville is a popular brunch town. Have one Bloody Mary or Mimosa, unless you still feel hungover. In that case, have a second one. Putting food on your stomach is very important for day drinking. Do not attempt to day drink on an empty stomoch. Once you start feeling like a human being again, switch to beer or cider. Drink no more than 1-2 per hour, consuming 12 oz of water for every 24 oz of beer. Take a break for a late lunch. Drink tea or water only. Late afternoon, switch back to beer for 2-3 hours, then proceed with your beverage of choice—wine, whiskey, etc. If you encounter a Bushwacker machine during your honkytonking, only drink one. One lady drank three in an hour and had to spend the rest of her trip in her hotel room! Another way to last all day and night, is to do a little dancing to the bands. When you are dancing, you are not drinking. And you will want to drink water afterward. Day drinking is an art and a science. Nashville is a day drinking town and the music is even sweeter with a cold one in your hand. Enjoy y’all! Embrace downtown! Hit Broadway and hop from bar to bar letting your ear be your guide. 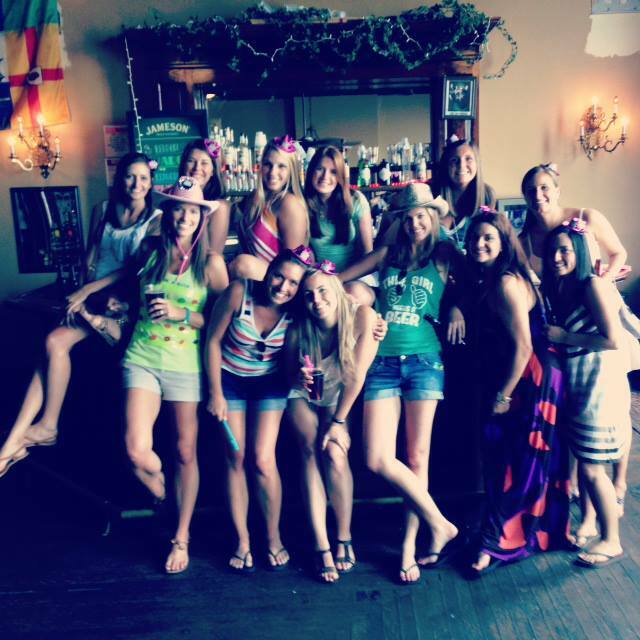 Live music starts at 11 AM and ends at 2 AM so pace yourself. Now downtown Nashville does not have a lot of local eateries—mostly chains. But the local ones are great. Have lunch at Puckett’s Grocery or Arnold’s for some great southern food. Visit the Tennessee Museum for a self-guided history lesson, or hit the Country Music Hall of Fame if you are really into country music. There are numerous attractions and tours downtown, so you will not be at a loss for things to keep you busy. 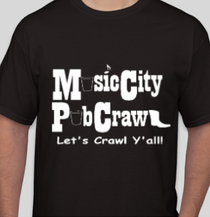 Music City Pub Crawl is a great way to learn about the city's past in a fun, relaxed setting. It takes place on 2nd Ave, which has buildings from the 1800's and more great bars. Treat yourself for dinner to some ribs at Jack’s, or a fancier dinner at Merchant’s Restaurant, both on Broadway. If you are downtown on the first Saturday of the month, explore the art district on 5th and in the Arcade. The art crawl is from 6-9 PM and you can enjoy complimentary drinks and eats. It shows a different, eclectic, sophisticated side of Nashville that people don’t usually get to see. Nashville loves its sports and is passionate about its teams. Join the excitement of a Titans, Predators or Sounds game. 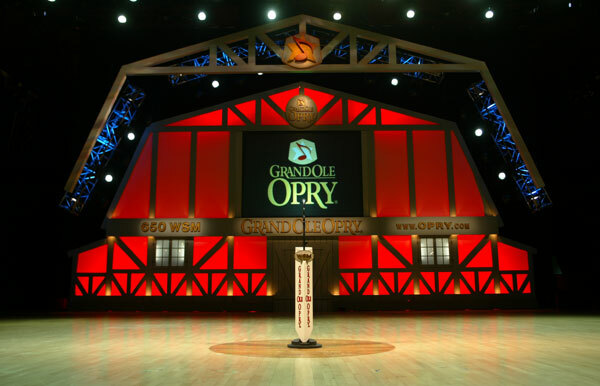 Book a show at the Grand Ole Opry and head out to that part of town. This is also where Gaylord Opryland Hotel is, as well as the Opry Mills Mall and where the General Jackson cruises originate. This area of town is a little tired, with the exception of the above, because many hotels and attractions were built in the 70’s and 80’s to accommodate all the visitors to the Opryland theme park. When Gaylord plowed it down for an outlet mall (albeit a nice outlet mall) the area took a direct hit in visitor counts. Anyway it’s a safe area, but there are very few local places to eat. You would probably be better off having a meal inside the Opryland Hotel. Now if you park outside Dave & Busters at Opry Mills Mall, which is right in from of the Grand ole Opry, you can take the back path to the Opryland Hotel and avoid the $20 parking fee they charge people to park for 1-2 hours. After walking around the beautiful hotel (and it is a show stopper) you could do a little shopping at Opry Mills, splurge on a lunch cruise on the General Jackson, or hang out in the plaza area outside the Opry. People start congregating there about 2 hours before show time and they usually have some entertainment outside, if weather permits. There are food and beverage (alcoholic and non-alcoholic) vendors on the grounds. Hit the Pancake Pantry on 21st in Midtown for breakfast. Arrive before 10 or be prepared to stand in line. This is a Nashville tradition. Not sure if the pancakes warrant a two hour line, but nobody seems to care. 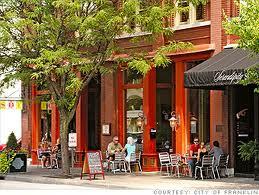 Hillsboro Village is great area of town, nestled between Vanderbilt University and Belmont College. It’s about 2 miles from downtown and is included in what people refer to as the Midtown area. After a hearty breakfast head to Belle Meade Plantation and enjoy their winery. Then, head for a stroll in Cheekwood Botanical Gardens or a hike in Percy Warner Park. You may also want to check out the Parthenon in Centennial Park where you can see the largest indoor statue in the Western hemisphere! Then you could catch an early dinner in any of the great Midtown local restaurants (which contrary to downtown, there are endless local offerings here). Favorites are Boundry, Sunset Grill, Cabana, Jackson’s, and Bosco’s. After dinner, enjoy the local music scene with less tourists. On Division, there is Red Door, Losers, Blue Bar and Rebar. 21st has even more selections. All are within walking distance to each other and still a $5 cab ride back from downtown. Head south 20 miles to Franklin for the day. It has great civil war history and is so quaint and pristine. It’s listed in the “1000 places to visit before you die” handbook and is in the top 10 of great places to live in the U.S. It’s situated in Williamson County. Soak up all the civil war history in downtown Franklin and meander through all the specialty stores on Main Street. Disappointingly, there is very little live music in Franklin, even though that’s where most of the country music stars live. However, you can venture to Kimbro’s Pickin’ Parlor (closed Sunday and Monday) or the Bungernut Pig on Columbia Ave. Head to the Factory for more unique shops, and have lunch at Saffire. Their blueberry martini is so delicious. If you want to round out your Williamson County experience, head to Kix Brooks’ winery, Arrington Vineyards for a free wine tasting. Before you go, stop by Merridee’s Breadbasket in downtown Franklin and pick up some box lunches. Arrington Vineyards has Music in the Vines, on the weekends. The rolling hills in the background are amazing.